Getting winter ready to avoid any mishaps during a snowstorm is essential. Although, safety is an all year long process but there are some specific safety checks for winter driving so you can avoid getting stuck knee deep in the season. To enjoy the holiday season without shaking the budget, have a look under the hood to be sure everything is well-kept. It is a great time get your auto maintenance tasks for a safe drive. Winter can be troublesome for your car’s system. The salted roads, freezing temperatures, heavy snowfall, and precipitation can cause the car system to stop. 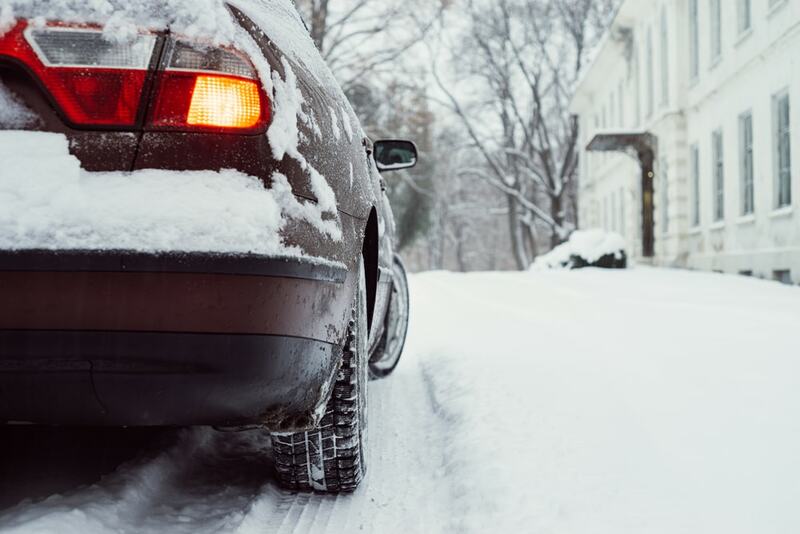 If you want to save yourself from pushing your car around, these winter maintenance checklist will help you avoid these situations. Changing oil should be done at least monthly. Most people ignore oil when it comes to winter vehicle maintenance but this is the right time to switch to synthetic oil rather than the conventional. Synthetic oil doesn’t have to warm up and can flow freely at lower temperatures. Thus, synthetic oil provides an immediate protection to the moving parts of the engine. If you still aren’t sure about a complete switch, try a synthetic blend. Check with the vehicle manufacturer or your mechanic to know more which oil is right for your vehicle. Antifreeze is an essential part of your car’s winter protection. The liquid present in the engine’s cooling system is composed of 50% water and 50% antifreeze. The antifreeze can be either propylene glycol or ethylene glycol, depending on the brand. As the name suggests, antifreeze prevents the water from freezing, expanding or causing any damage to the engine. Take your vehicle to the mechanic to measure if you have the appropriate amount of antifreeze. 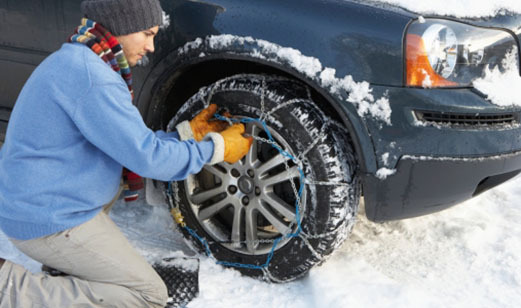 Roads during the winters tend to get slippery, so it is vital to take a look at your tires. The treads should be sufficiently deep for a safe drive. If you have snowfall in your area, invest in snow tires rather than all-weather tires. The fall in temperature causes low pressure. Low-pressure tires wear faster, increases fuel consumption and can reduce handling. The uncertain condition can get intimidating and if you can’t see where you are going then it can be quite dangerous. Make sure your lights are working and replace any faulty bulbs. Replace your windshield wipers with winter blades and make sure the windshield washer tank has nothing but de-icing fluid. Test your battery and replace it immediately if it’s weak. For the colder regions, keep the battery attached to a maintainer or trickle charger. Also, you can prevent power draws by disconnecting the battery when the vehicle is not in use. Cold weather safety should be a concern for anyone living in a cold climate. To avoid any mishaps during this season, visit Harrad Auto Services, the best auto repair services in Brampton.